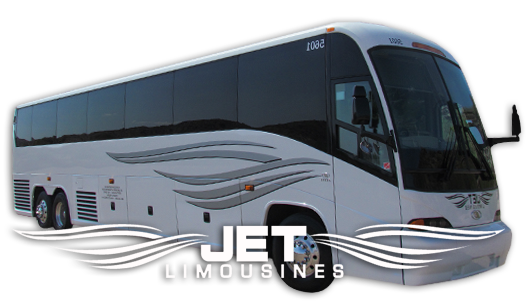 It is with great excitement that we announce a new partnership with the Arizona-based JET Limousines and Transportation. Beginning in 2016, JET will become the exclusive transportation provider for The Academy Drum and Bugle Corps. Since The Academy’s inception more than 15 years ago, we have cultivated valuable strategic partnerships that have had mutually beneficial results. Our newest partnership includes a new charter bus partnership for The Academy that will assist in ensuring that our members enjoy the best in state of the art transportation and comfort as they travel more than 11,000 miles each summer. Executive Director, Mark Richardson says “one of the most important aspects of programming with a nationally touring group is the method of transportation to get us around the country. The unforgiving nature of a drum corps tour requires that our transportation be extremely reliable. In addition, a large part of the experience our members have resides in the buses that become their home during the long tour. This is why we take our choice in bus provider very seriously and consider several areas that are critical to our success. A high expectation in safety standards, new, well-maintained buses, friendly and flexible professional drivers, and a desire for the most competitive price are all factors as to why we have engaged in this long-term partnership with JET”. An additional benefit to our partners in traveling music groups is “The Academy Deal”. By mentioning “The Academy Deal” to the agents within JET Transportation, patrons will be assured to receive the same quality of fleet and drivers that The Academy enjoys. In addition, a discounted rate will be applied that will be extremely hard to beat by another charter bus company. Jet Limousines is dedicated to provide the most reliable and efficient transportation services in Phoenix, AZ and around the world. With their industry-leading fleet and experienced staff, every trip with JET is one to remember. Explore their services and peruse their World Class fleet of vehicles at their website www.jetlimoaz.com. Would you like us to make a connection? Email us and we will introduce you to the people at JET: email@arizonaacademy.org.